Items not collected/received by 4 May 2019 will be forfeited and no refund will be given. 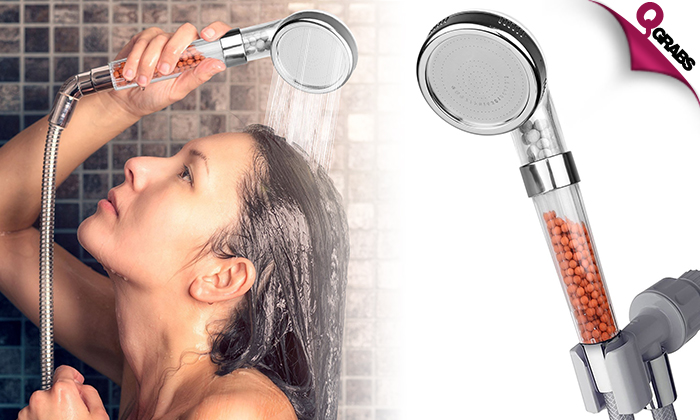 Get stress free & rid of all your day’s fatigue & tensions with your very own spa shower head. Comes with 3 types of mineralized active ion balls which help remove bacteria & impurities from the water while revitalizing your body with positivity. Save water while enjoying a deluxe experience. The end of the shower head fits on to all common shower hose tubes. Due to the transparent body, you can watch the natural balls do their magic while taking the shower. Have some fun & unwind during a typical bathroom routine. With up to 50% off, enjoy the shower experience!